According to Deadline, a future version of the Syfy channel—from a world that has been devastated by a plague released by an organization called the “Army Of The 12 Monkeys Fans”—has just travelled back in time in hopes of preventing that terrible future from ever happening. 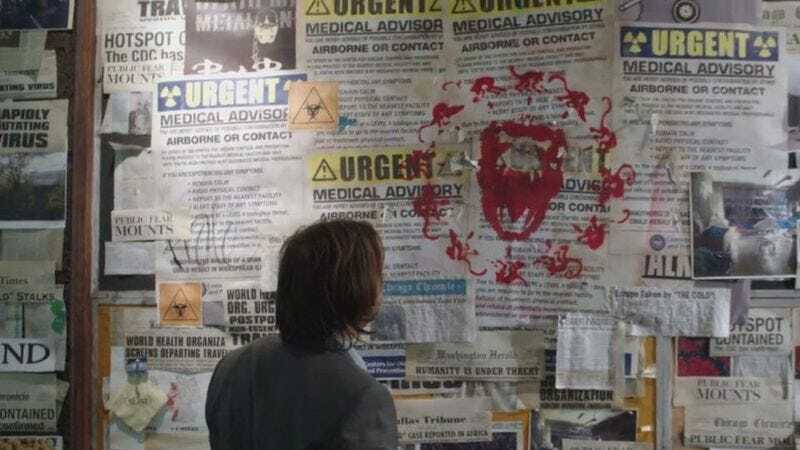 To do that, it has decided to renew its 12 Monkeys adaptation for a second season—even though the first season is still airing. OK, so Deadline didn’t reference Syfy traveling through time or anything, but trust us, it was implied. Along with another year of time-hopping monkey adventures, the second season of 12 Monkeys will also bring with it a new pair of showrunners. Current showrunner Natalie Chaidez is leaving for her own sci-fi show on Syfy, a series called Hunters. She’ll be replaced by Terry Matalas and Travis Fickett, who are currently writers on 12 Monkeys. Deadline notes that the show’s ratings weren’t very good initially, but it has been doing very well when DVR numbers are taken into account. Obviously this situation is quite humorous, since the show is about time travel, and its ratings are only good when you count the people who go back and watch it later. Alright, so maybe humorous isn’t the right word, but it’s mildly interesting, right?